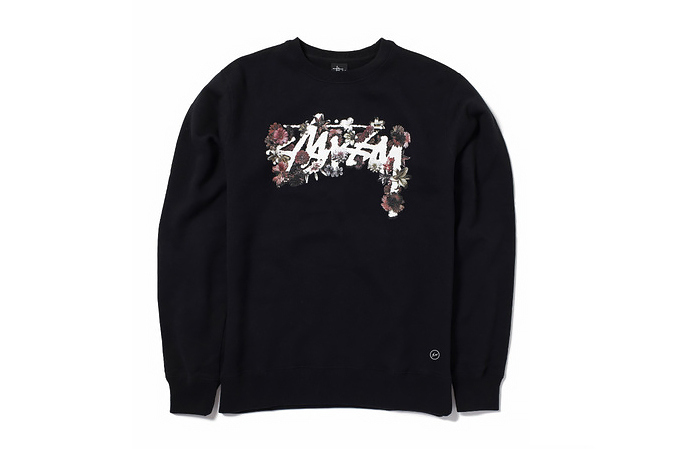 To celebrate the opening of the “Floral Shop” installation at the POOL aoyama from AMKK and Japanese floral artist Makoto Azuma, Hiroshi Fujiwara and fragment design have tapped Stussy for a seasonal capsule collection. 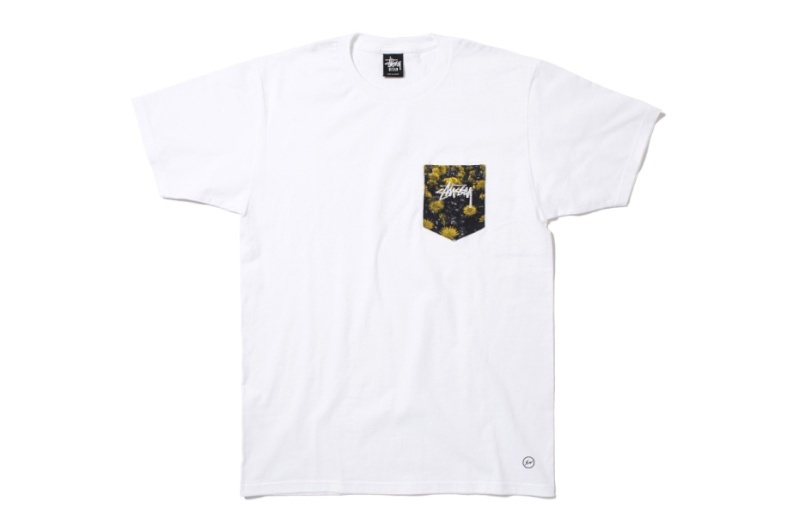 Consisting of a crew neck sweatshirt and pocket tee, the release sees Stussy’s unmistakeable script flanked by floral motifs as fragment’s logo appears on each shirt near the hem. Both limited edition pieces are now available in-store while the floral installation is set to remain open at the concept store through August 31.